Last year I compiled a 52 Weeks Dating Challenge for couples a little bored of Brisbane. This year has a new list and I think it is even better! 1. Head up to the top of Mt Gravatt Lookout and check out another amazing angle of Brisbane. I would recommend heading there at sunset so you can watch the colour of the sky change and the city lights come on. 2. 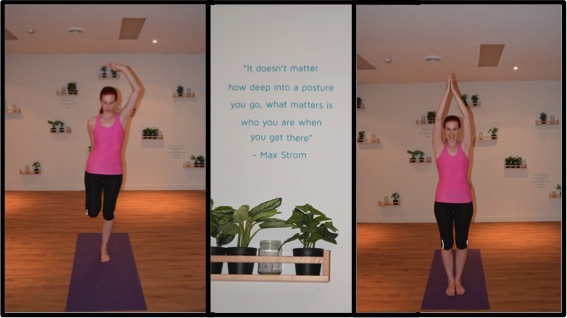 Try some the Partners Yoga Workshop at Stretch Yoga in the city. 3. Paint your partner's portrait at Cork and Chroma whilst sipping on some bubbly. 4. 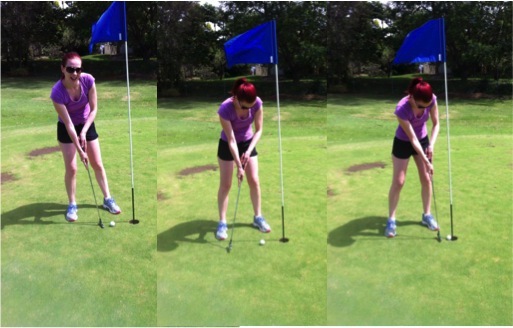 Grab a golf club and take a swing on the Pitch 'n' Putt green in Oxley. This game is like a shortened version of golf and if you have an hour to spare, it is a great place to spend a morning laughing at each another's terrible swings. 5. Take in a show, installation or some music at The Brisbane Powerhouse. If you are on a budget keep an eye out for their numerous free event. 6. Enjoy meal and a movie at the Blueroom Cinabar in Rosalie. 7.The new section of the Mt Cootha Botanical gardens is now open and definitely worth a stroll with an ice-cream in one hand and your partner in the other. 8. Find a place to watch the sunrise. I will always choose Redland Bay but there are many mountaintops that offer a great view. 9. Check out some amazing theatre during the Anywhere Festival. In 2014 I participated in a Murder Mystery, watched a magic show and enjoyed 10 2minute performances at the Indigenous Performing Arts Centre, all within one week. 10. Head to Eat Street Markets and feed each other some of the many chocolate delights on offer. 11. Grab a kayak or canoe and head to Enoggra Reservoir for a paddle. This beautiful nature reserve only opened up to the public last year and is already extremely popular. Grab a Kayak and hit the water. 12. Riverlife at Kangaroo Point now offers stand up paddle boarding and segway tours along or in the Brisbane River. 13. Cuddle up close for a ghost tour of Towong Cemetery. 14. Shoot your partner… with lasers this time at Laserforce in Woolloongabba. 15. Why not perfect your Waltz with some private dance lessons. Who knows, it may come in handy if you ever decided to get married. 16. Climb the Story Bridge and take in Brisbane from a complete different perspective. 17. Jump out of bed super early in the morning and enjoy a hot air balloon flight over a sleepy Brisbane. 18. Take in a high tea at one of Brisbane many clasic locations. I am dying to try Tea and Niceties at Mt Tambourine. 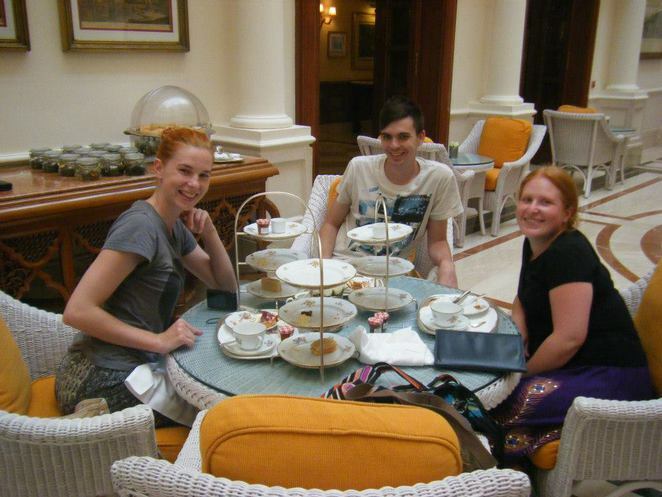 The last high tea we had together was in India. 19. Grab yourselves a private Green Cab and zip around Southbank before dining in of the amazing restaurants lining our river. 20. Cruise around Morten Bay searching for our friendly neighborhood whales. 21. Give degustation a go and eat yourselves into a stupor. There are many different varieties all around Brisbane with various price ranges to suit many budgets. 22. Grab a cocktail from your favorite bar in West End. I am a fan of the ones on fire at Jungle Bar on Vulture Street. 23. 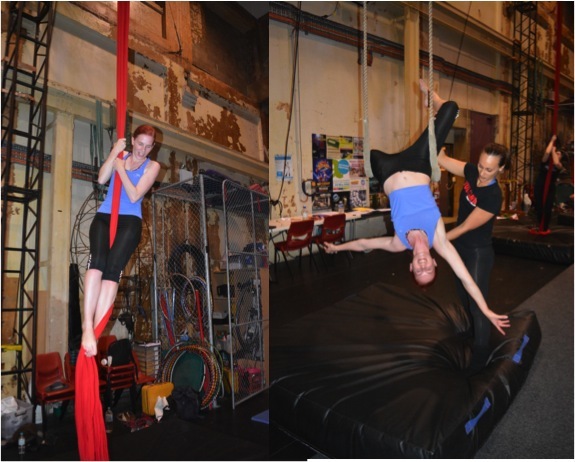 Don't let the name fool you, Vulcana Women's Circus offer adult classes to both men and women so why not head along and learn some aerials or acrobatics. 24. Drive to one of the amazing Day Spas hidden in the surrounding rainforests and enjoy a day together being pampers. I am a huge fan of the view and the experience on offer at One Eagle Wings Day Spa. 25. Keep an eye out for when interstate or overseas sports teams come to town. Brisbane sporting associations are getting much better at organizing interesting events for our viewing pleasure. 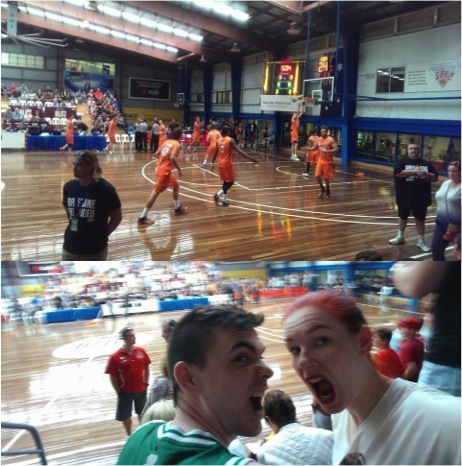 We were a little excited when the NBL teams came to Brisbane. 26. Race each other around the track at out of the nearby go karting tracks. 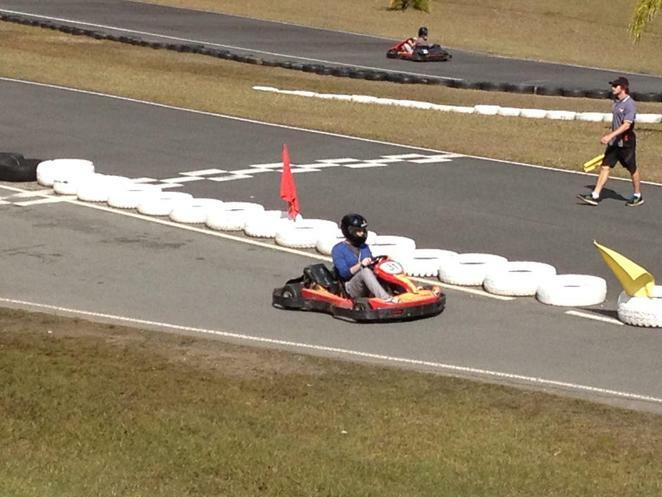 We love the Big Kart Track towards the Sunshine Coast but I'm keen to try the indoor track at Go Karting in Eagle Farm. My man racing around the track! 27. Learn how to cook together at the James Street Cooking School. 28. Use your amazing new cooking skills to throw a dinner part for all your friends. 29. Plan a holiday together. This could be a weekend away on a month long tour of Asia. Dipping our toes in the Ganges in India. 30. Play truth or dare. 31. Bike, walk, picnic and just talk at the beautiful Springfield Lakes Parklands. 32. Steam your favorite formal gown or dust off your suit and spend the evening dancing away at a ball. 33. Enjoy a long sleep in, followed up with a late breakfast. I love what's on offer at Comfort At My Table in Milton but make sure you book ahead of time because it can become very busy on weekends. 35. …Or Jet Skiing at Calondra. 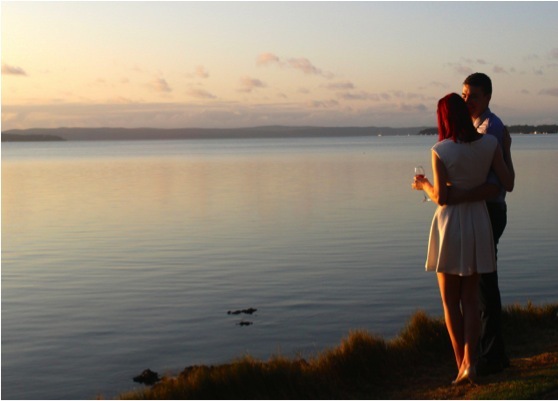 Our dating adventures on Hamilton Island. 36. Spend a lazy Sunday afternoon blowing bubbles. 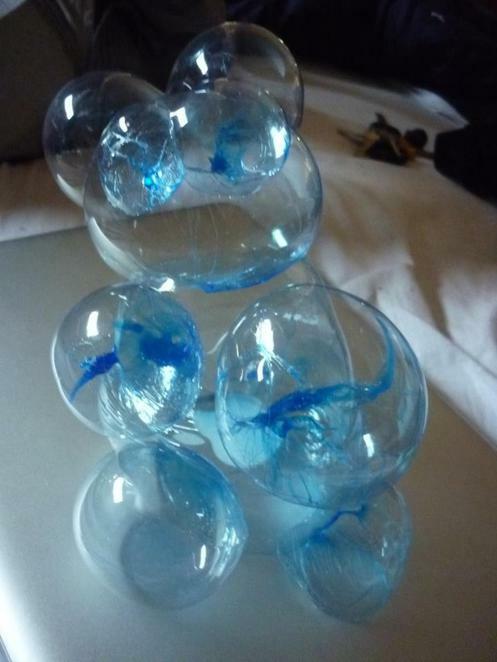 You can either make up your own or Australian Geography sells these amazing bubbles that you can sculpt into figurines. 37. Get your first aid certificated together. One day you might just save a life, plus many employers need to see it on your resume. 38. 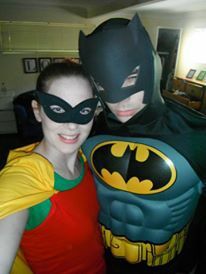 Buy or make matching costumes and attending a themes party. If there are none on in your social circles why not plan one yourself. 39. Search Redballoon and grab a voucher for a couples massage in the comfort of your own home. 40. Enjoy a race or a Monster Truck Rally at Archerfeild Speedway. 41. Ditch your clothes and give skinny-dipping a go. 42. 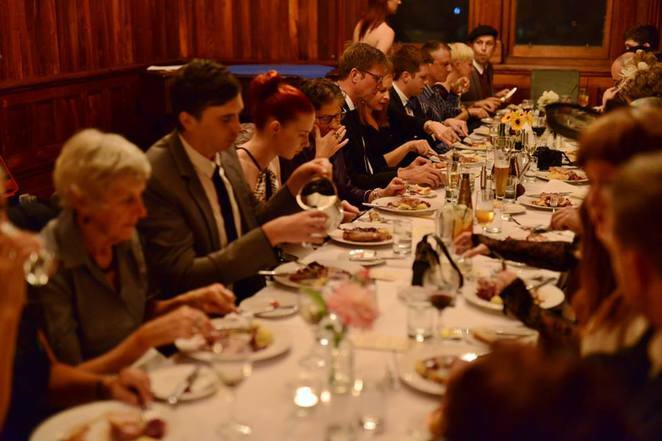 Take a dinner cruise along the Brisbane River. 43. Give the flying Trapeze a go at Brisbane's Circus Arts Centre in Alderly. 44. Grab a camera each and undertake a photography challenge. 45. Sign up to be hair models. Hairdressers are on the hunt for those willing to undertake crazy cuts and colours all the time. Why not step out of your comfort zone together. 46. Undertake a massive clean out of your house and donate all the clothes you haven't worn in the last year to charity. 47. Enjoy beach time cuddles. Whether it be winter or Summer it is always nice to snuggle up on the sand and watch the waves role in. Cuddles on Noosa's North Shore. 48. Find a bathtub big enough to fit the two of you in it (even if it means going to a hotel) and enjoy chocolate fondue, strawberries, champagne and a romantic movie in a luxurious bubble bath. 49. Ditch the pop up tent and find a more permanent structure so you can give Glamping a go. There are some amazing middle-of-no-where tents out there with large baths and king size beds for a romantic night away. 50. Make art together. Jump online and check out all the crazy ways people are making art nowadays. Try blow-drying crayons onto card or throwing balloons filled with paint at a white canvas. Who knows, you might be the next Jackson Pollock. 51. Hold an impromptu dance party in your living room just for the two of you to celebrate the small stuff… like dinner being ready. 52. Make matching t-shirts you can wear on your next 52 dates. That really is an excellent (and very comprehensive) list! I didn't know about the Enoggera Reservoir, will check that out on my next trip to Bris. Fantastic. Thank you so much for this list to get ideas flowing.